Buy ex-hire models for $150 and free basket included with every purchase! Our ex- hire products are all terrain knee scooters that have been previously used and may have scratches and signs of use, however have been maintained at a high standard. Out of ex-rental stock? Please contact the office to be placed on our waiting list. 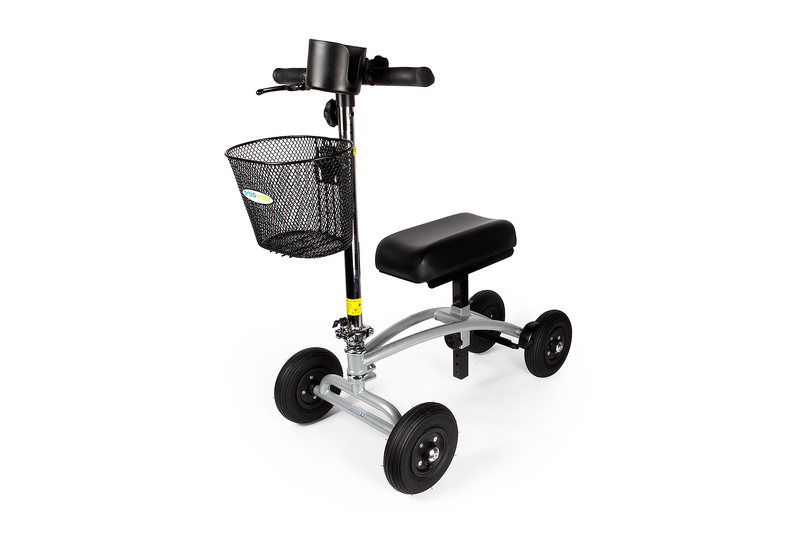 Categories: Knee Scooter, Knee Walker. Brand: StrideOn. 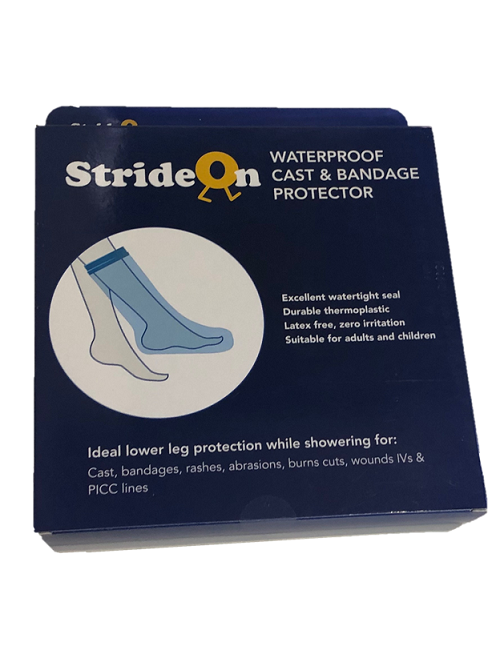 A great solution that gives comfort and independence as you recover from your lower limb injury. 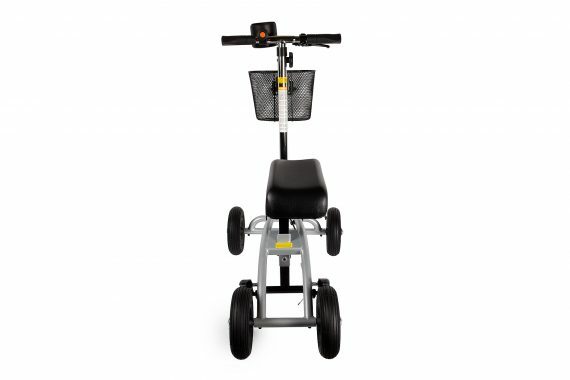 The Orthomate Knee Scooter has pneumatic tyres for a smooth and comfortable ride over uneven surfaces - also great for use indoors. 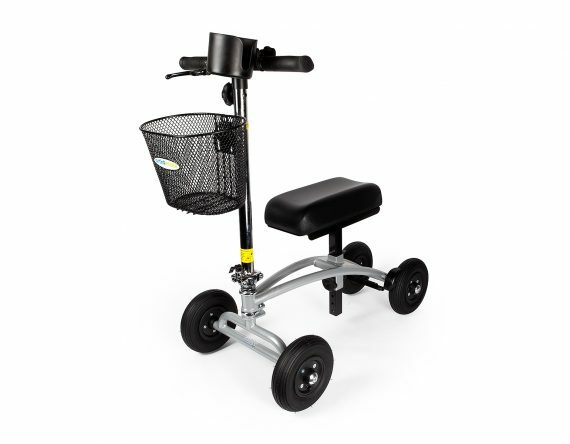 Providing you with the freedom to carry on with everyday life while your injury heals. 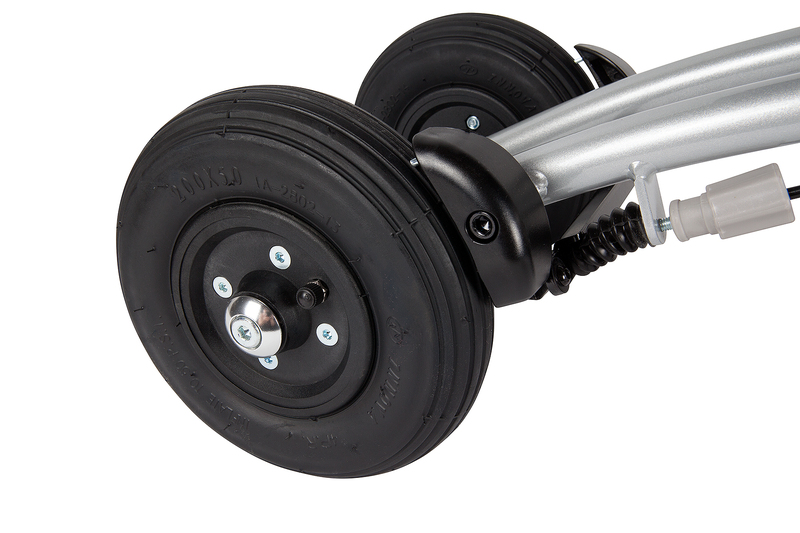 The Orthomate is safe and stable to use with easy steering and brakes. An all-round alternative to using crutches whether your injured leg is on your left or right side. 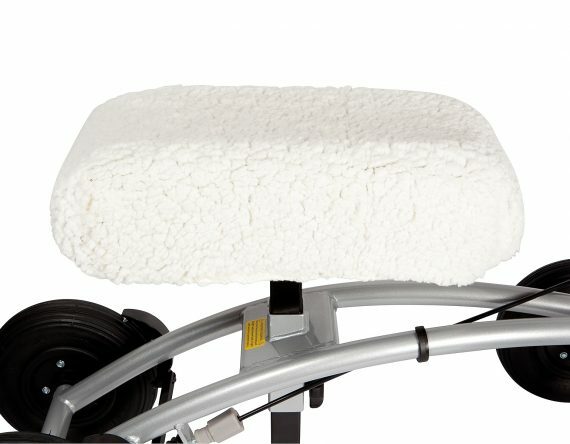 The handlebars and comfortable knee pad are totally adjustable for different heights of user. No tools are required for assembly. 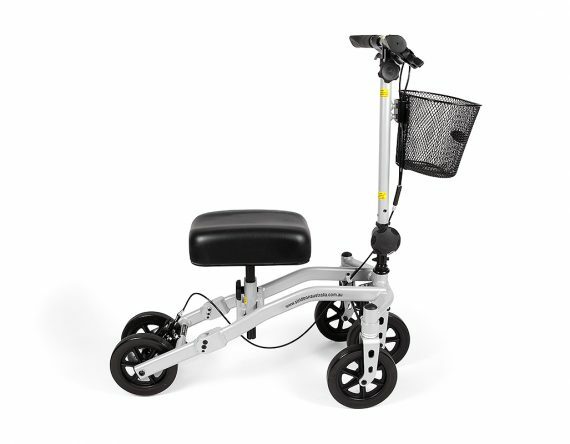 Storing or transporting the Orthomate Knee Scooter is easy with the folding steering column which tucks neatly under the seat. 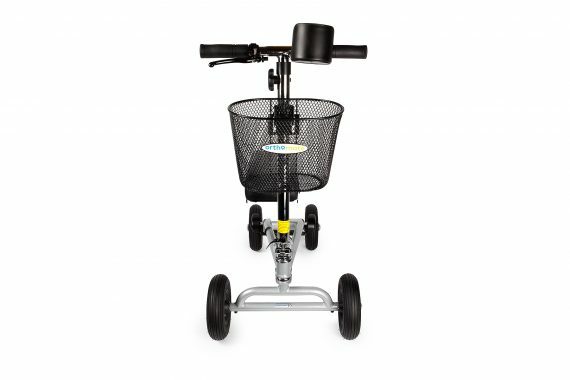 The Orthomate Knee Scooter has a removable basket attached to the front to help you carry those necessities with you at all times. 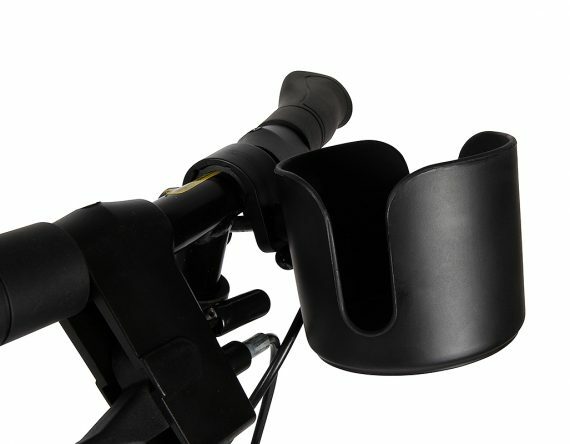 The basket easily lifts off the front if not required. 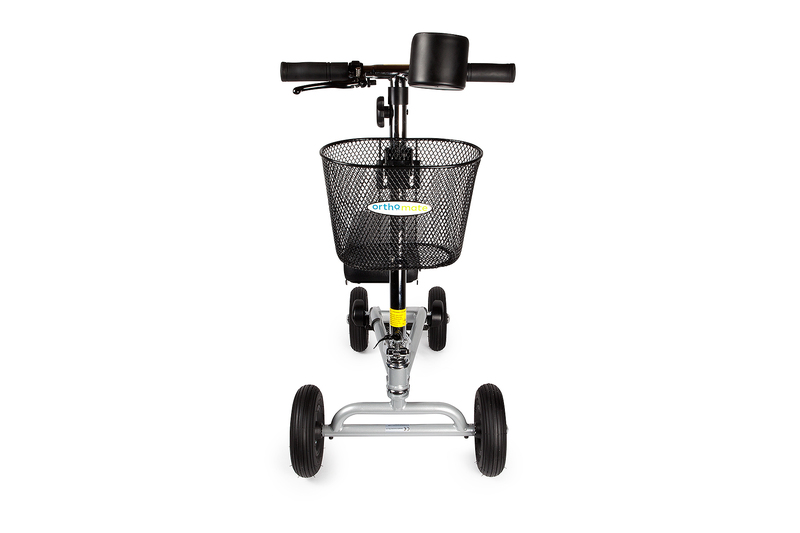 The Orthomate Knee Scooter has a carrying weight capacity of up to 159kgs. 152 cm –192 cm approx. Are Tools Needed for Assembly?